Mojo Media Online LLC., is owned and operated by published author, journalist and songwriter Angela Fedrick-Lewis with a vision to promote spiritual and physical well-being through the dissemination of information and artistic expression. Angela Fedrick- Lewis is a published journalist, author and Christian educator who also serve as a worship leader in the body of Christ. 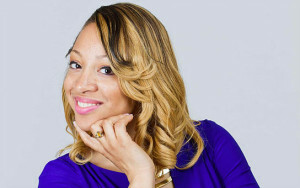 She holds a Bachelor’s of Arts degree in Journalism from Clark Atlanta University and a Master’s of Science degree in Education from Long Island University. Her company vision is to provide resources that promote spiritual and professional growth. “Moving Mountains: How I learned to Love God’s Way,” is her first published book from the Mojo Media publishing division.